Welcome to enter 2018 A.A. Taste Awards ! Please indicate the name of the item you want to enter and select its category. Then make sure the company and product/dish's names correctly spelled as these will be identical on the certificate and winner announcement of awards. Please only use English alphabet. Please fill out the application to registrate your products and food business. * Please make sure the company and product/dish's names correctly spelled as these will be identical on the certificate and winner announcement of awards. If applicable, the method of preparation and/or consumption. If applicable, information on the product that can be useful for the jury members during the tasting session. 1. Restaurant: Cooking process and finished dish shots in in high resolution, .png/.jpg or .tiff format. 2. Prodcuct: A front & back shots of your product(s) in high resolution, .png/.jpg or .tiff, on transparent or white background. * Payment by bank transfer is due upon receipt of the invoice by email. - Samples must be identical to those sold on the market (contents, packaging and product labeling). - Samples must be delivered in the best condition and ensure a shelf life of between 3 months and 6 months. 10 packs which the capacity should be able to serve for 15 to 20 judges. 1. We recommend that you send your samples by express delivery (such as DHL, TNT, FedEx, UPS, JET8 Cargo or Nippon Express). Delivery by post (such as EMS) may lead to delays and the risk of damaged packages. 2. All delivery expenses (customs import duty, taxes, etc.) are the responsibility of the client. Any additional delivery costs and/or handling charges invoiced by the haulier to Anti Additive Association (most frequent with DHL) will be re-invoiced automatically with an additional 10% for administrative expenses. 3. Enclose a copy of your registration form with your samples. 4. Anti Additive Association is not responsible for customs import taxes or duty.Please have your haulier deal with the customs clearance of your products. Taiwan Anti Additive Association is the authorized representative of Asia Pacific Anti Additive Association, and in charge of A.A. Taste Awards operation. The participants have to send up to 5 images of the product with the signed application form to email: info@anti-a.org. All fees should be charged by the Taiwan Anti Additive Association. We would like to remind you again of the statement of Section C in the terms of participating regulation. You will receive the competition results of A.A. 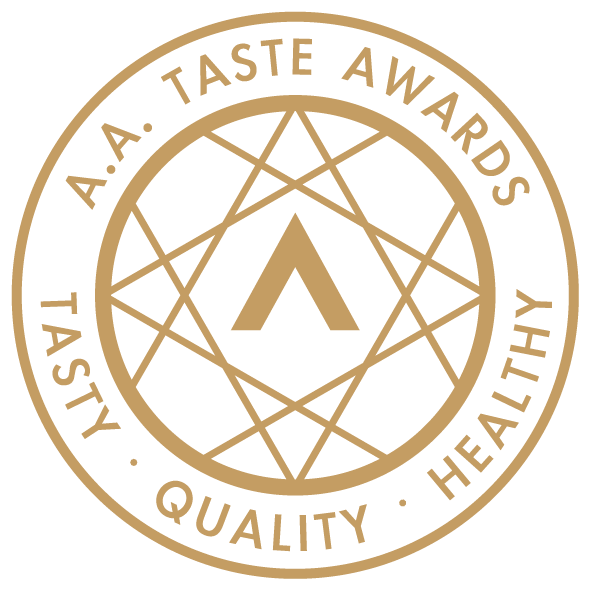 Taste Awards from Asia Pacific Anti Additive Association by e-mail.